As Martin Holan, travel to Prague to examine a newly discovered World War II tunnel. 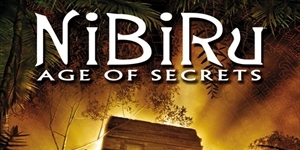 And so begins your exhilarating adventure begins in NiBiRu - Age of Secrets, a hidden object adventure game with a unique story and an intriguing convergence of Nazi secrets and the demise of the Mayan civilization. You are happy to be leaving your archiving job to help your uncle understand the newest discovery of a back-filled tunnel under the streets of Prague. When you show up for the rendezvous with the woman who can allow you access to the site, you discover that she has been murdered. Resourcefully, you find a way not only to access the site, but also to piece together clues of the dark and dangerous story that is unfolding. Explore 80 locations of breathtaking scenery. Enjoy multiple chapters of intense, detailed storytelling.. Interact with over 35 informative and interesting characters. Play at the intersection of history and legend. Funny thing about this game. I played it and thought it was fantastic fun, wooden acting notwithstanding lol. Then afterwards I played the Broken Sword series and -WOW!- no comparison. I tried replaying NiBiRu about a year later but because of BS it had lost its 'magic'. However I think it's still a very enjoyable (although dry and humorless) adventure. OH...my mistake. I went through the walkthrough section to try to find it. I'm going to try to keep this to-the-point, but this is still going to be comprehensive. WARNING: There is an instance of animal cruelty in this game. First and foremost, for those not accustomed to true adventure games, you must save and SAVE OFTEN! 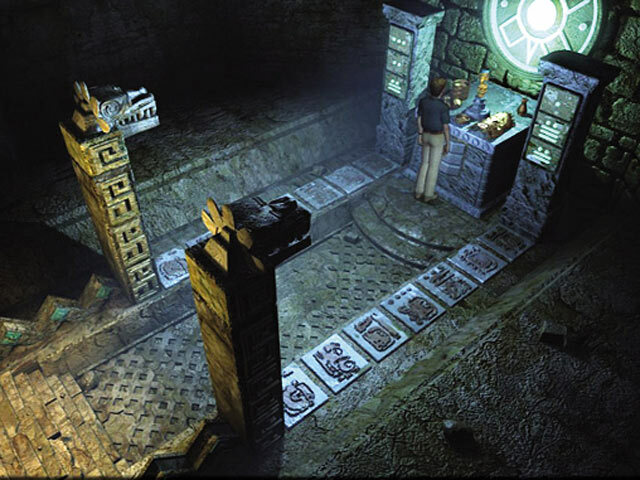 It's always best to save the game BEFORE you attempt a puzzle, as many of these games do not have a reset button, and nothing can be skipped. You have been warned! Options include separate sliders for Voice and Sound, plus Antialiasing, Shadows (none, simple, or full), and Subtitles (NOT a default!) The opening cutscene is VERY long and with a lot of dialogue, so if you want subtitles, be sure to go into options and select them before you start the game! You're going to either want the voices turned up or the subtitles on (or both,) obviously, or you're going to miss out on the story, which is VERY important to this kind of game. However, there's a second reason, and that is that the devs leave us with a blank screen with nothing but audio sometimes. Good for effect, but if you've no subtitles and the voices aren't loud enough, you're likely going to think that the game has stopped working! I mentioned that the cutscenes can be long, but when you are interacting with another character, you CAN speed up the dialogue by clicking on the screen. This is one of the games where you watch your character walk around. Click on the screen, and that's where he will walk to. Holding down the space bar to make them walk more quickly does not work in this game, but you CAN move quickly between scenes by double-clicking on the exit you wish to take. To see all of the possible exits, simply press the Tab key. Now you may be looking at the screen and wondering how the heck you get out of the game... or save, or anything else! Hitting the Esc. key doesn't work, so what to do? If you bring your cursor to the top of the screen, a gears icon will pop up in the top right corner. Use that to go back to the main menu. Once there, you can choose to Save, Load, Exit, Options, etc. You DO have multiple save slots, and I suggest making use of them! Once you have some inventory, you can right-click on most items to get a closer look and/or more information. If you accidentally pick something up (via the usual left-clicking on it) and can't use it, just right-click to make it go back into your inventory. Right-click is also used to examine things on the screen in more detail, so if you want a closer look, be sure to try right-clicking! Anything you can look at/interact with will turn your cursor gold when you mouse-over. We have no journal, but there is no need to remember important information. Our character either remembers it for us, or we have a slip of paper (or something) that has the information on it. To be honest, I'm not an experienced pure-adventure player. Aura: Fate of The Ages is the only one I've played that wasn't a casual adventure (ie. like those made by Cateia Games.) I was so nervous that I'd miss something or get lost that I was relying heavily on the Universal Hint System at first. Turns out that I needn't have worried. If you've missed something, the game won't let you progress. You can't really get lost, as you're confined to a limited number of locations per story segment. 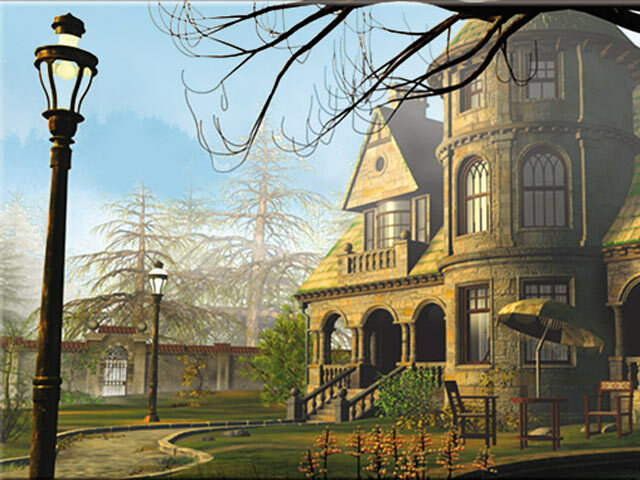 Once I realized that, I was able to take my time and enjoy the environment and the story, which is really what playing adventure games is all about. I did have times when I got stuck, however. With most adventures you have to click on EVERYTHING to see what can be interacted with. Not so in NiBiRu. If you click randomly, all you're going to do is make your character walk all over the screen. Watch for your cursor to turn gold or turn to a speech bubble. When it does, you've found something you can click on/interact with. The thing is that sometimes there are two parts to an item, and you don't realize it because they're so close together. Let me give you an example. On the first scene, there is a statue you can look at. Great! A statue! ... Except that I didn't realize that need to look at the statue BASE, too. Same thing later on with the wheels on an item, etc. By the way... I know I mentioned this before, but SAVE OFTEN! You might regret it if you don't! Items in our inventory can sometimes be combined, but sometimes, you CAN'T combine them, even though you KNOW they need to be. The problem is that you haven't found the right trigger yet. The game WILL allow you to pick things up before you know what you'll be needing them for, but you still can't do so until you find that trigger. There were two nonsensical actions we had to take, which I'd have never figured out on my own. One involved the instance of animal cruelty that I mentioned at the top of this review. What in the world...?! I really don't know what the devs were thinking, that would have NEVER worked! Ah well. Another place I got stuck was on a puzzle. I kept clicking and clicking, but the darned thing would only turn to the right! I had to go peek at the solution to realize that you could right-click, to make the thingy go the other way. The graphics are very nice -- at times almost photo realistic! Thank you for this excellent review, genki. I was very nervous about playing a pure adventure game after so much time has passed since the last time I did. Am happy now that I can buy the game and play it, so it won't be a waste! Yay, Genki!!!! We'll have you playing The Longest Journey yet, lol. 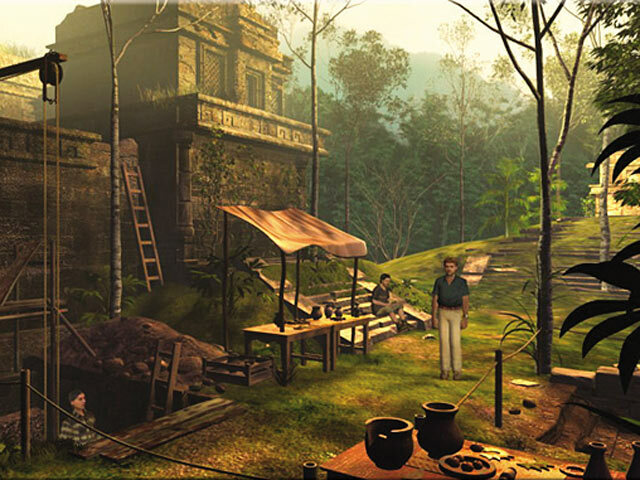 Did you know there's a new Broken Sword available for pre-order at GOG? Look HERE for more info. Justie, I hope you enjoy the game!